Light, compact and easy to set up, the VPL-HW65ES fits neatly into any home theatre or living room, with quiet fan noise that won\'t disturb the show and a front-facing exhaust port for extra installation flexibility. The projector\'s long-lasting lamp is rated for an extra-generous 6,000 hours operation (in Low Mode), for fewer interruptions and reduced maintenance costs. ►Spectacular Full HD pictures with Reality Creation - Advanced SXRD panel technology is teamed with Reality Creation - Sony\'s Super Resolution processing technology that refines subtle details, colours and textures. You\'ll see the difference with crisp, sharp Full HD pictures that take you closer than ever to the original 1080p source. 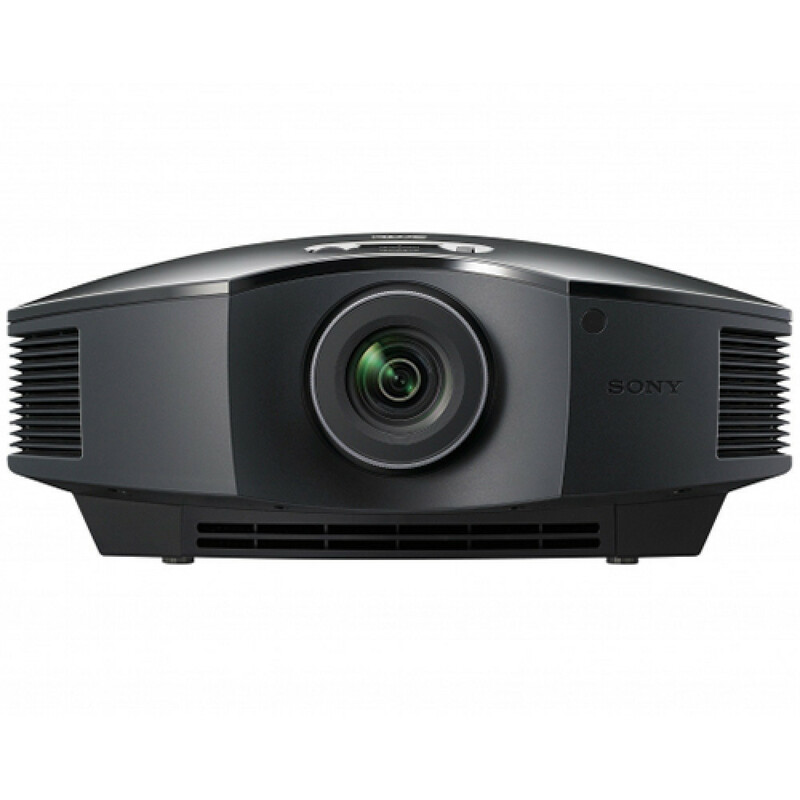 ►High brightness and contrast - With an impressive 1,800 lumens brightness and high 120,000:1 dynamic contrast range, Full HD images are clear and with bright highlights and rich, deep blacks – even in well-lit rooms. ►White finish - The projector is also available in a stunning new white finish that looks beautiful in any contemporary or traditional décor. ►Smooth, fluid on-screen action - Coupled with the panel\'s super-fast response rate, Motionflow technology means you’ll see every detail with minimal blur - no matter how fast the action. ►Long-lasting lamp - 6000 hour rated lamp operating life (in Low mode) means simpler maintenance, with fewer lamp swaps and reduced running costs. ►Flexible home installation with wide zoom and shift lens - The manual zoom lens with a 1.6x zoom ratio and wide lens shift range gives greater installation flexibility in any room size, even with high ceilings. ►Front-facing fan - With the fan exhaust positioned at the front of the projector, you don’t need to worry about wall clearance and room for air inhale/exhaust when installing. This helps maximise throw distance, for the biggest possible projected images. ►Home automation with IP control - The VPL-HW65ES is compatible with a wide range of home automation systems via an RJ45(IP), RS-232C, TRIGGER and IR IN interfaces. ►Industry standard RF 3D compatible - The projector\'s built-in RF transmitter synchronises with any RF 3D glasses for wider coverage and greater stability, so there’s no need for an external transmitter. ►USB updates - You\'re always up to date with the latest features and firmware updates via the projector\'s USB port.